Registration for the CPDA Summer Conference & Annual Meeting in Chicago is Now Open! 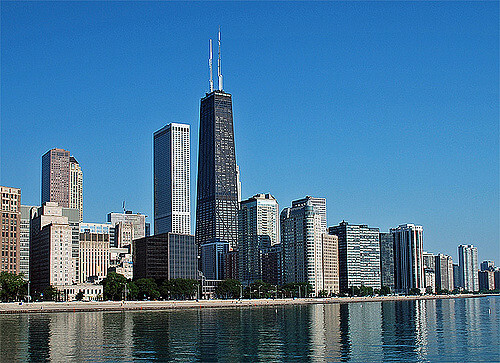 Register today for the upcoming CPDA Summer Conference and Annual Meeting to be held at the Omni Chicago Hotel July 16-18 in Chicago. This year’s meeting will showcase a new strategic direction for CPDA that charts a new way of conducting operations and a new philosophy to enhance the value of CPDA membership. Members and non-members will have the opportunity to learn more about how this new approach will enable CPDA to better meet their needs. CPDA Interim President Gary Halvorson will present at the Western Plant Health Association (WPHA) 2018 Regulatory Conference, scheduled for July 25-26 in Sacramento, California. He will provide an overview of CPDA’s voluntary Adjuvant Certification Program and how registrants and users of adjuvants bearing the CPDA certification logo can be assured that the product conforms to specific product claims and EPA requirements. Over the last several months, CPDA has engaged with WPHA on mandatory revisions to product label warning requirements under California’s Prop 65. Most recently, WPHA President Renee Pinel spoke at CPDA’s 2018 Adjuvants & Inerts Conference in San Antonio where she summarized the pending changes and likely impact on product labels. CPDA looks forward to its continued collaboration with WPHA on the new Prop 65 label warning requirements as well as issues surrounding the registration of adjuvants by the California Department of Pesticide Regulation (CDPR) – both of which are crucial issues for Council members that sell and/or distribute their products for use in California. EPA has announced a 60-day extension of the deadline for the submission of public comments on the final Biological Opinion (BiOp), issued by the National Marine Fisheries Service (NMFS) under the Endangered Species Act, on the potential effects of chlorpyrifos, diazinon, and malathion on listed species and critical habitats. The Biological Opinion found jeopardy to 38 species and adverse modifications to 37 critical habitat units. It also includes a series of Recommended Prudent Alternatives (RPAs) based on the “best available information on current agricultural practices and pesticide reduction strategies to reduce pesticide exposure to aquatic species and their habitats.” Comments are due by July 23, 2018 and may be submitted via www.regulations.gov identified by docket number EPA-HQ-OPP-2018-0141. Under Section 7(a)(2) of the ESA, if EPA determines that a pesticide is likely to adversely affect a listed species or its designated critical habitat, the Agency must consult with the U.S. Fish and Wildlife Service and the National Marine Fisheries Service (collectively known as the “Services”). Following consultation, the Service(s) prepares a Biological Opinion on whether the registration action will jeopardize or adversely affect a listed species or habitat and, if so, may include reasonable and prudent alternatives and/or reasonable and prudent measures to avoid or minimize such impacts. The final BiOp was issued on December 29, 2017 pursuant to a court-ordered deadline set by the U.S. District Court for the Western District of Washington in the case of Northwest Coalition for Alternatives to Pesticides, et. al. v. NMFS. The deadline was established after the court denied a request from NMFS seeking additional time to engage in more extensive collaboration with EPA and stakeholders in developing the final BiOp. In announcing its request for public comment on the BiOp, EPA maintained that the court’s failure to extend the deadline for issuance of the Opinion was “at odds” with an interim approach developed by the Agency in 2013, with the support of the Services and USDA, for assessing the potential ESA effects of pesticides. According to EPA, this interim approach is intended to establish an “open and transparent process” for ESA consultations. The Agency emphasized that “stakeholder input is critical to the development and evaluation of any measures EPA may implement to address risks to listed species and designated critical habitat.” As such, EPA is seeking public comment and stakeholder input before deciding to reinitiate consultation with NMFS or move forward with implementing the measures contained in the Opinion. Meanwhile, EPA continues to work with the Services to refine an interim scientific approach and create a sustainable process for completing consultations that meet requirements of both the ESA and FIFRA. As part of this process, EPA is collaborating with the Services to determine an appropriate method for incorporating available usage data in the evaluation of pesticides for ESA effects. EPA personnel state that the Agency’s objective is to streamline the process so that it is protective of species, ensures timely FIFRA registration review decisions, transparent to the public, and takes into consideration the limited resources available to the Agency. House passage of the Farm Bill (H.R. 2), titled the “Agriculture and Nutrition Act of 2018,” fell short by a vote of 198-213 during floor debate on the measure held May 18, 2018. The bill failed to advance largely due to the leadership’s refusal to agree to the demands of a bloc of House Republicans seeking a separate vote on an unrelated package of immigration measures. Discussions in the House are now underway as the leadership tries to end the impasse and find a way to bring the Farm Bill to the floor for a second vote. As reported previously, Title IX of the Farm Bill contains two provisions strongly supported by CPDA. First is language that would enact into law H.R. 1029, the “Pesticide Registration Enhancement Act,” which provides a long-term reauthorization of PRIA along with an increase in maintenance fees, an adjustment in registration service fees as well as product category/review times, and eliminates the existing constraint on spending maintenance fees without matching appropriation dollars as contained in current PRIA. H.R. 2 also includes language that would amend FIFRA and the Federal Water Pollution Control Act (the Clean Water Act) to prohibit EPA or a state from requiring an additional permit under the Clean Water Act for a discharge of a pesticide from a point source into navigable waters of the United States. 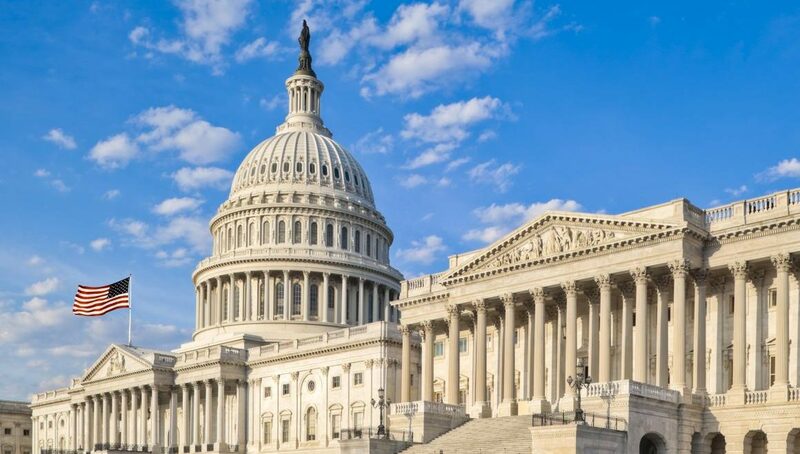 CPDA has engaged in extensive lobbying efforts in building a broad base of support for each of these legislative initiatives in the 115th Congress. Most recently, CPDA joined with a broad cross-section of agricultural, non-agricultural, and public health interests in signing onto a May 8, 2018 letter to Representative Mike Conaway (R-TX), Chairman of the House Committee on Agriculture, thanking him for his leadership in authoring several key provisions in the Farm Bill that relate to the registration and use of pesticides. The signatories to the May 8th letter also thanked Chairman Conaway for his inclusion of other language in Title IX of the Farm Bill that would establish much-needed regulatory reforms by clarifying the role of state lead agencies in promulgating pesticide regulations and streamlining the pesticide review/approval process when considering implications to endangered species. As of this writing, it was not clear whether an agreement over immigration would be reached that would clear a path for reconsideration of the Farm Bill on the House floor. Meanwhile, work in the Senate is ongoing as the leadership in that chamber drafts its own version of the Farm Bill. CPDA will keep its membership apprised of further developments as they occur. 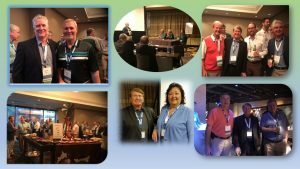 CPDA Interim President Gary Halvorson recently sent the following message to CPDA Members: “Make plans to be in the “Windy City” on July 16-18 for CPDA’s 2018 Summer Conference & Annual Meeting at the Omni Chicago Hotel in Chicago, Illinois. This year’s gathering promises to be a truly special event and is being structured to showcase the newly defined focus of the CPDA organization. The start of 2018 signified a new chapter in the association’s long history – a new way of conducting operations and a new philosophy to enhance the value of CPDA membership. The CPDA Board of Directors envisions a new strategic direction for the association – one which recognizes that issue priorities vary depending on a company’s primary business focus: producer, formulator/distributor, or adjuvant/inert ingredient supplier. Each of these segments within the agrotechnology industry faces a unique set of challenges in retaining a competitive edge. With this in mind, the CPDA Board has designed a plan to create a committee structure focused on these segments, and the legislative and regulatory issues relative to each. A representative Board director whose company’s primary line of business falls within each segment will be featured on the conference program. Each will showcase how reorganization of CPDA’s current structure would facilitate opportunities for legislative and regulatory advocacy of current and future member companies. CPDA is working towards increased transparency and defining the association’s value to current, past and future members in order to justify the expense in this current market. CPDA’s goal is guided by a vision of ensuring that the association serves as the pre-eminent voice on federal and state legislative and regulatory affairs in representing the interests of producers, formulators/distributors, and adjuvant/inert ingredient suppliers. 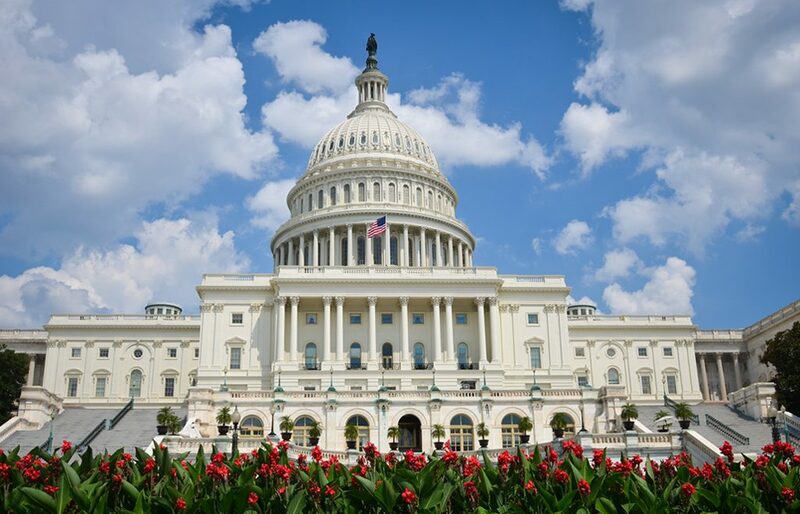 CPDA is confident that a restructuring will benefit current members, and also attract former and potential new members looking for an organization that is willing and able to devote time, effort and resources into championing their interests before policy-makers on Capitol Hill and with regulatory agencies. CPDA’s 2018 Annual Adjuvants & Inerts Conference, “Agrotechnology Challenges in Today’s Ever-Changing Market,” held May 1-2 in San Antonio, Texas, featured an informative and robust speakers program that examined the latest trends and issues impacting the agrotechnology industry. The Conference provided information on important topics including drift reduction technologies, advancements in tank cleaning technology, inerts and adjuvants for the organic market, the state of biostimulant regulations in the U.S. and Canada, auxin herbicides and the effective management of weed resistance, rhizosphere engineering and soil health, pending changes to California Proposition 65 product label warning requirements, and the impact of mergers and consolidations taking place within the agricultural chemicals industry on the long and short-term growth of the global agricultural economy. 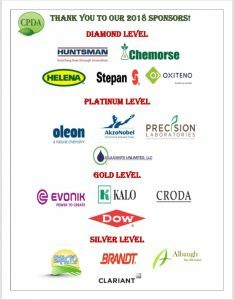 Silver Level: Albaugh, Inc.; Brandt Incorporated; Clariant Corporation; and Exacto Inc.
CPDA would like to give special recognition to the members of the 2018 Adjuvants & Inerts Conference Planning Committee – all of whom devoted their valuable time in the development of the speakers program and structure of the conference. The engagement and input of these individuals was key in ensuring the success of the conference. Members of this year’s conference planning committee include: Dave Ferguson (Huntsman Performance Products), Todd O’Connell (Huntsman Performance Products), Paul Bially (Solvay USA), Arthur Bass (Chemorse), Brenda DeShields (Oxiteno USA, LLC), Rebecca Peters (Precision Laboratories, LLC), Donna Hillebold (AkzoNobel Surface Chemistry), Stephen Rall (Evonik Corporation), Carmine Sesa (AgMarket Results), and Alec Simpson (Croda Inc.). CPDA would also like to take this opportunity to express appreciation to all the attendees of this year’s Conference. We hope the meeting provided just the right mix of education, information, and networking opportunities and that members and non-members alike found value in attending. We look forward to seeing everyone again next year in Denver, Colorado for the 2019 Adjuvants & Inerts Conference to be held May 7-9! The speaker presentations from the CPDA 2018 Annual Adjuvants & Inerts Conference may be accessed by clicking the links below. “Biostimulant Market Overview,” Jon Leman, Italpollina USA, Inc.
CPDA thanks all those who attended the 2018 Annual Adjuvants & Inerts Conference! The CPDA Annual Adjuvants & Inerts Conference – Agrotechnology Challenges in Today’s Ever-Changing Market – will provide attendees unique opportunities to hear from experts from around the nation about trends and developments shaping the current state of the agrotechnology industry. The program features presentations and panel discussions on a range of key topics, including how changes to the California’s Proposition 65 labeling requirements, which go into effect August 30, 2018, could affect many pesticide and adjuvant labels. Inert products used in adjuvant or pesticide formulations could be also be subject to the label changes. In March, as part of the Council’s Regulatory Conference, CPDA members met with officials at the EPA Office of Pesticide Programs to discuss, among other issues, how the Agency was preparing to handle potential changes that could affect pesticide labels and seek guidance for the regulated community on how to comply with dual requirements of federal and state regulators. At the 2018 conference, Dr. Renee Pinel, President of the Western Plant Health Association, will continue to highlight this important issue and provide conference attendees an understanding of what needs to be done to meet the new requirements for a proper Proposition 65 label warning. This year’s keynote speaker will be Dr. Matthew Phillips, a well-known authority on the agricultural chemicals industry, whose address will discuss how companies are navigating and re-positioning themselves to remain competitive amid the many multi-national corporate mergers and consolidations taking place today. The full conference program can be viewed here. 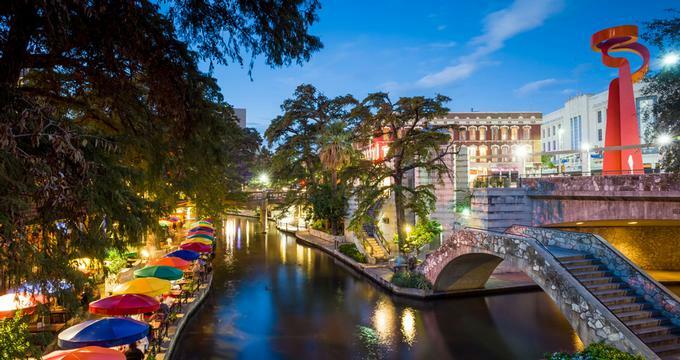 CPDA will host two conference receptions on the evenings of May 1st and 2nd, as well as a CPDA-PAC sponsored golf tournament on May 1st at Canyon Springs Golf Club, located just 20 minutes from the San Antonio River Walk. For more information about the golf, please contact CPDA Director of Legislative Affairs, Don Davis at ddavis@cpda.com or (202) 386-7407. CPDA will not have a Sporting Clay Shooting networking option for May 1st, due to the unavailability of multiple locations. Huntsman Performance Products, Helena Agri-Enterprises, Stepan Company, Chemorse, Oxiteno USA, LLC, Oleon, Precision Laboratories, LLC, AkzoNobel Surface Chemistry, KALO Inc, Croda Inc, Evonik Corporation, Dow Crop Defense, Clariant Corporation, Exacto Inc, Albaugh Inc., and Brandt Incorporated. For information and further details about the conference program and sponsorship opportunities, please contact CPDA Director of Regulatory Affairs Sylvia Palmer at spalmer@cpda.com or (202) 386-7407. You may also visit the conference registration page here. CPDA has been a strong proponent of both H.R. 1029 and H.R. 953 and has engaged in extensive lobbying efforts in building a broad base of support for each of these legislative initiatives in the 115th Congress. CPDA will continue its efforts in seeking enactment of these provisions as part of the next Farm Bill and will keep its members informed of further developments as they occur. Should you have any questions, please contact CPDA Director of Legislative Affairs Don Davis at ddavis@cpda.com or call CPDA’s office at (202) 386-7407. The following is a brief recap of activity surrounding H.R. 1029 and H.R. 953. As reported previously, H.R. 1029 (“PRIA 4”) was passed by the House on March 20, 2017 under a suspension of the rules and would extend EPA’s ability to collect maintenance fees through 2023 at $31 million/year (current maintenance fees are set at $27.8 million/year). The bill would also allow EPA to average across years to correct for over or under collection of maintenance fees. In addition, the measure provides for an increase in the maintenance fee cap for large and small businesses and it continues the current prohibition on the imposition of tolerance fees as well as any other registration fee not specifically authorized by PRIA through fiscal year 2023. In its other provisions, PRIA 4 provides for a set-aside of between 1/9 and 1/8 of maintenance fees collected for the review of inert ingredient submissions and me-too pesticide applications. The measure also adjusts registration service fees and decision review times for product submissions subject to PRIA and provides for two 5% increases in registration service fees during the effective period of the statute. Finally, H.R. 1029 would remove the existing prohibition in PRIA which bars EPA from spending maintenance fees without a matching appropriation thus allowing the Agency better access to carryover maintenance fee funds that have built up partially due to this restriction. The removal of this limitation would free up additional resources to be spent on such activities as the Agency’s obligation under registration review to complete decisions on 725 chemical cases by October 1, 2022. H.R. 953, the “Reducing Regulatory Burdens Act,” would amend FIFRA and the Clean Water Act to eliminate the requirement to obtain a National Pollutant Discharge Elimination System (NPDES) permit for the application of FIFRA registered pesticides in, over, or near waters of the United States. The measure, which passed the House on May 24, 2017 by a vote of 256-165 under a suspension of the rules, would overturn a 2009 U.S. Sixth Circuit Court of Appeals decision in National Cotton Council v. EPA which required the Agency to establish a federal permitting system for the application of pesticides on, over or near navigable waters subject to Clean Water Act jurisdiction. The bill also clarifies Congressional intent that NPDES permits are not required for lawful pesticide applications and shields pesticide users from litigation arising from the use of registered but unpermitted pesticides. The legislation adopted by the House was referred to the Senate Committee on Environment and Public Works where it awaits further action as S. 340. CPDA has been a strong advocate of this measure and has written numerous letters to members of Congress and participated in a series of lobbying visits in seeking to advance this measure through the legislative process. On March 23, 2018, the President signed into law the omnibus spending bill that provides funding for government operations through the remainder of the 2018 federal fiscal year ending September 30th. CPDA is pleased to report that included in the omnibus spending measure is an extension of current PRIA (PRIA 3) through September 30th of this year. The legislation funds EPA’s pesticide program at current levels and includes an additional $6.96 million increase for product review activities associated with PRIA. Funding: The industry would like to see the modification of funding mechanisms that allow fees to be “sequestered” when they do not equal federal appropriations. CPDA’s position, in line with other stakeholders and EPA leadership, is that this system should be changed so that when fees are collected they can be used to process applications. This should help in addressing any delays or backlogs. This change is included in PRIA 4. Reauthorization period: While the House version of PRIA 4 extends the program for 7 years, the Senate changed the reauthorization to 3 years. CPDA’s position, in line with other stakeholders and EPA leadership, is that it would be better to have the extended reauthorization period but not at the cost of the legislation failing to pass. CPDA will continue to work with stakeholders and the Agency in developing an acceptable resolution of this issue. During the weeks leading up to passage and enactment of the omnibus spending measure, CPDA made a series of House and Senate office visits in seeking Congressional support for inclusion of PRIA as part of the funding package. CPDA also asked its member companies to supplement these lobbying activities by writing to their Senators and Representatives urging support for PRIA as part of the next budget bill. To all those CPDA member companies who participated in this grass roots effort, we would like to convey our thanks. The calls and letters of our member companies to their senators and representatives helped CPDA’s advocacy efforts on PRIA. Nevertheless, much work remains to be done. In the months ahead, CPDA will dedicate its efforts in securing the enactment of legislation to reauthorize PRIA beyond September 30th. To this end, CPDA continues to work closely with other members of the PRIA Coalition in building consensus and Congressional support for this critical legislation. CPDA will keep its members informed of further developments as they occur. In the interim, should you have any questions, please contact CPDA Director of Legislative Affairs Don Davis. In the March 23, 2018 Federal Register, EPA announced that it is seeking public comment on the final Biological Opinion issued pursuant to the Endangered Species Act (ESA) by the National Marine Fisheries Service (NMFS) on the potential effects of chlorpyrifos, malathion and diazinon on listed species and their critical habitats. Comments are due by May 22, 2018 and may be submitted via www.regulations.gov identified by docket number EPA-HQ-OPP-2018-0141. Under Section 7(a)(2) of the ESA, if EPA determines that a pesticide is likely to adversely affect a listed species or its designated critical habitat, the Agency must consult with the U.S. Fish and Wildlife Service and the National Marine Fisheries Service (collectively known as the “Services”). Following consultation, the Service(s) prepares a Biological Opinion (BiOp) on whether the registration action will jeopardize or adversely affect a listed species or habitat and, if so, may include reasonable and prudent alternatives and/or reasonable and prudent measures to avoid or minimize such impacts. On December 29, 2017, in response to a deadline issued by the U.S. District Court for the Western District of Washington in the case of Northwest Coalition for Alternatives to Pesticides, et. al. v. NMFS, the National Marine Fisheries Service transmitted its final BiOp to EPA which addresses the potential effects of chlorpyrifos, malathion and diazinon on 77 listed species and 50 designated critical habitats as part of registration review. In its Opinion, NMFS concluded that EPA’s proposed registration of pesticides containing chlorpyrifos is likely to jeopardize the continued existence of 38 of the 77 listed species, and adversely modify 37 of the 50 designated critical habitats. Likewise, for diazinon, NMFS found jeopardy for 25 of the 77 listed species and adverse modification of 18 of the 50 designated critical habitats. NMFS also determined that registration of pesticides containing malathion is likely to jeopardize 38 of the 77 listed species and adversely modify 37 of the 50 designated critical habitats. NMFS set forth a series of Recommended Prudent Alternatives (RPAs) which, according to the Service, were drafted using “the best available information on current agricultural practices and pesticide reduction strategies to reduce pesticide exposure to aquatic species and their habitats.” The RPAs include a list of chemical alternatives as well as specific measures to reduce loading of pesticide chemicals into aquatic habitats. However, EPA contends that the court’s failure to extend the deadline for issuance of the Opinion did not allow for appropriate public input and is “at odds” with an interim approach developed by the Agency in 2013, with the support of the Services and USDA, for assessing the potential ESA effects of pesticides. According to EPA, this interim approach is intended to establish an “open and transparent process” for ESA consultations. The Agency emphasizes that “stakeholder input is critical to the development and evaluation of any measures EPA may implement to address risks to listed species and designated critical habitat.” As such, EPA is seeking public comment and stakeholder input before making a decision on whether to reinitiate consultation with NMFS or move forward with implementing the measures contained in the Opinion. The Biological Opinion appears in the public docket established by EPA which may be accessed by clicking here. Should you have any questions, please contact CPDA’s offices.